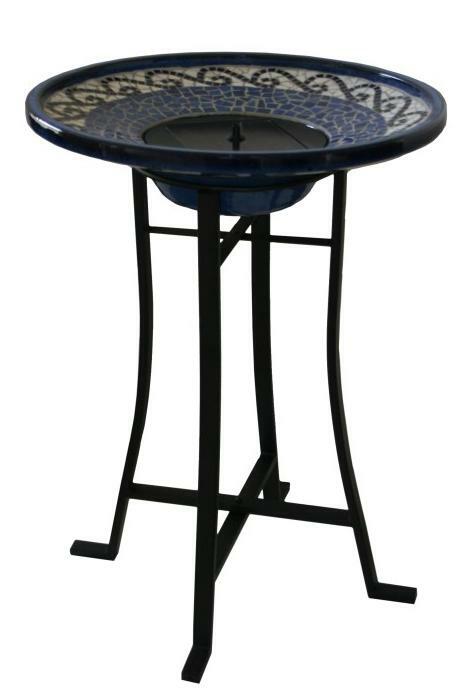 This solar birdbath fountain with metal stand is an elegant solar water fountain and perfect for your garden, patio, deck or any favorite outdoor setting. This beautiful solar birdbath ceramic basin is adorn with attractive mosaic detail and is supported by a sturdy metal stand. The solar water fountain features an integral solar panel and pump system that produces a consistent flow during the day when the sun is out and requires little maintenance and no operating cost. 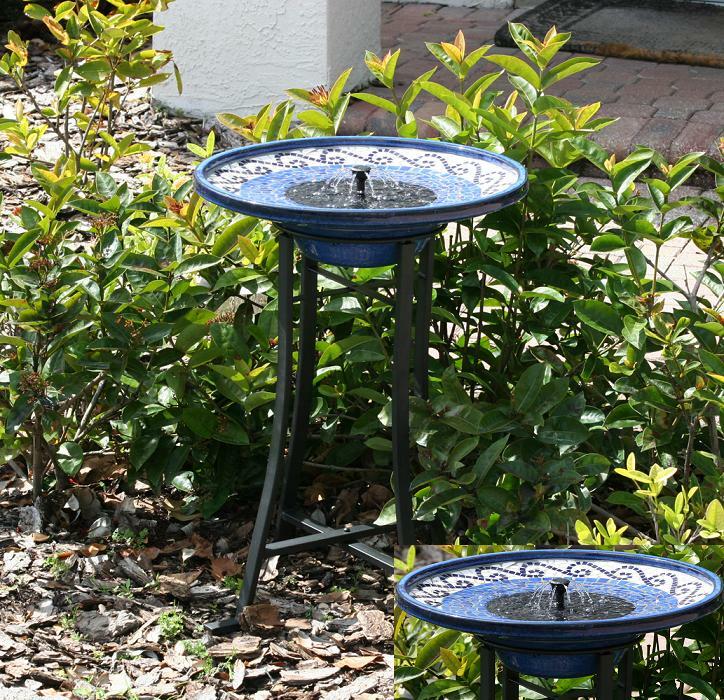 Add a solar birdbath to your garden to listen to the smoothing sound of running water and provide a place for your feathered friends to cool off on those hot summer days. Easy to install, just simply place the unit in an area that receive direct sunlight for hours of enjoyment. Day use only (Only operates in direct sunlight).